Kiku woke up on 14th February to the strong smell of chocolate. Slowly opening eyes he realised why – he was knee deep in chocolate! Miko had been working on them in secret in the kitchen of the bamboo bathhouse, with Mama Kojin’s help. * “Giri-choko” (義理チョコ) is ‘obligation chocolate’, and relatively inexpensive, given to male co-workers, bosses, and friends. If the girl really doesn’t like the man, she can make this quite clear by giving cheap, horrible chocolate! * “Honmei-choko” (本命チョコ) is ‘true feeling chocolate’, and this is given to the ones you have genuine feelings for. 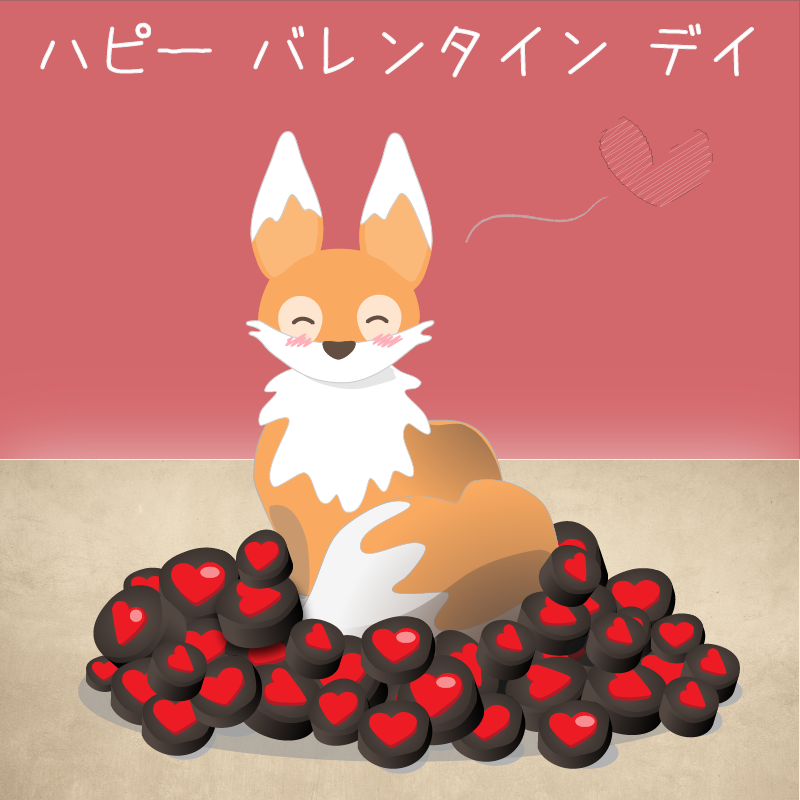 Of course, honmei-choko is what Miko made for Kiku – lovely handmade chocolates with little red hearts on. She may have overdone it a little but Kiku seems pleased! 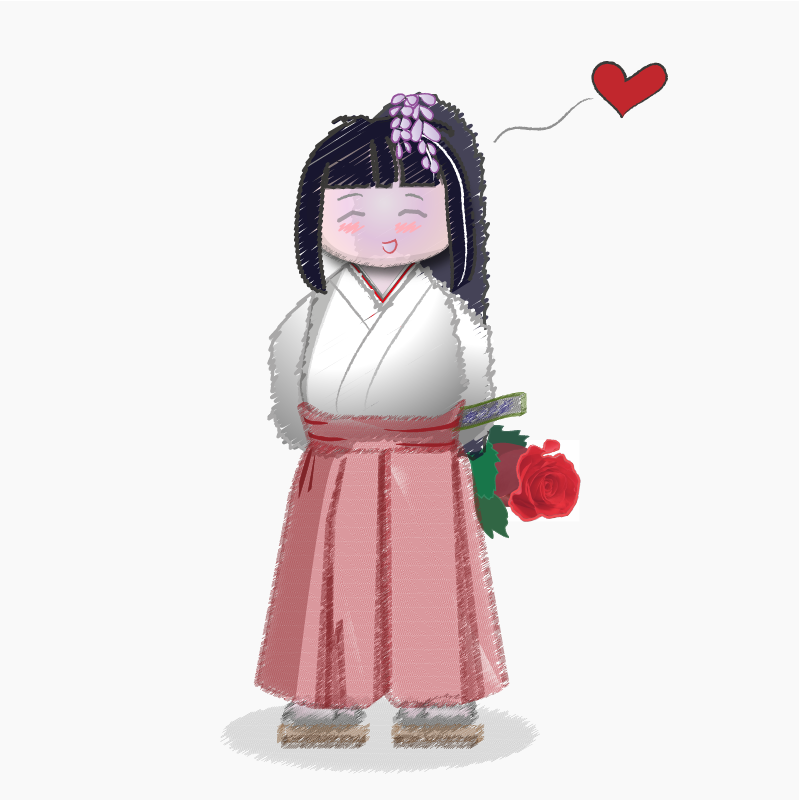 Now, ordinarily in Japan, the girls don’t get anything on Valentine’s Day. If this doesn’t seem quite right, don’t worry, there is a day a month later called White Day, where boys have to give girls back three times the value in chocolates/ gifts! However, Kiku is an English fox, and so he followed the English custom and gave Miko a single red rose. She was delighted!